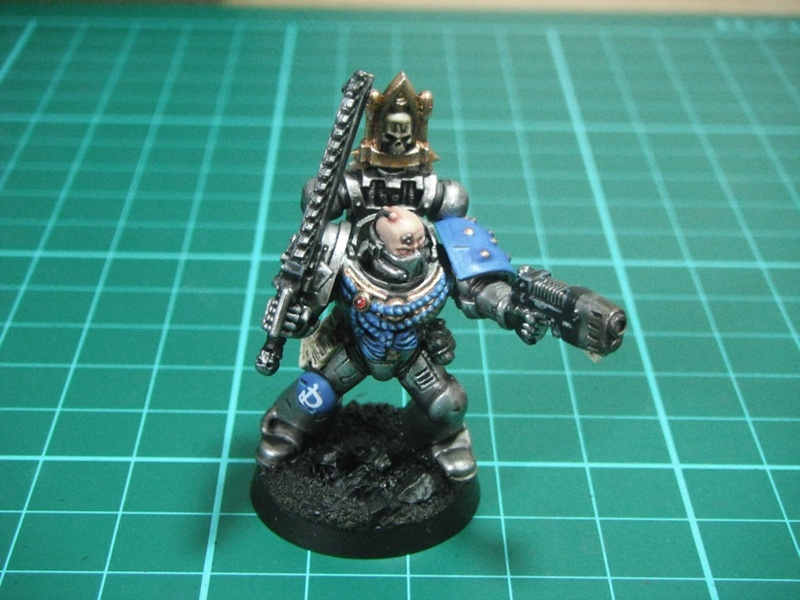 Here is my as yet unnamed veteran sergeant to lead my first Astral Claws tactical squad. 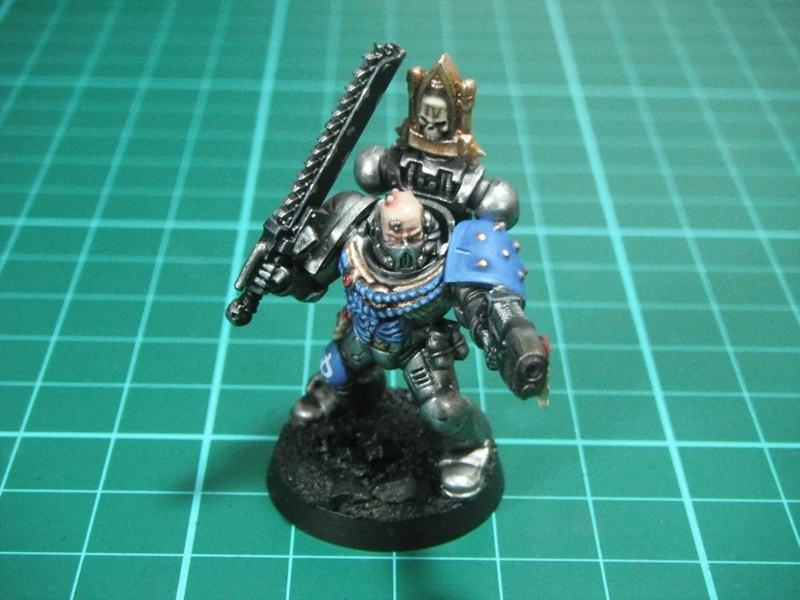 He is kit-bashed from Tactical Marine components and parts taken from the Space Marine Captain set to give him a suitably distinctive appearance. I’ve also been working on a Rhino. I must say, I’ve never really liked the Rhino kit. The design is very boring and I really didn’t enjoy putting it together. However, now that I have started painting it it is growing on me. 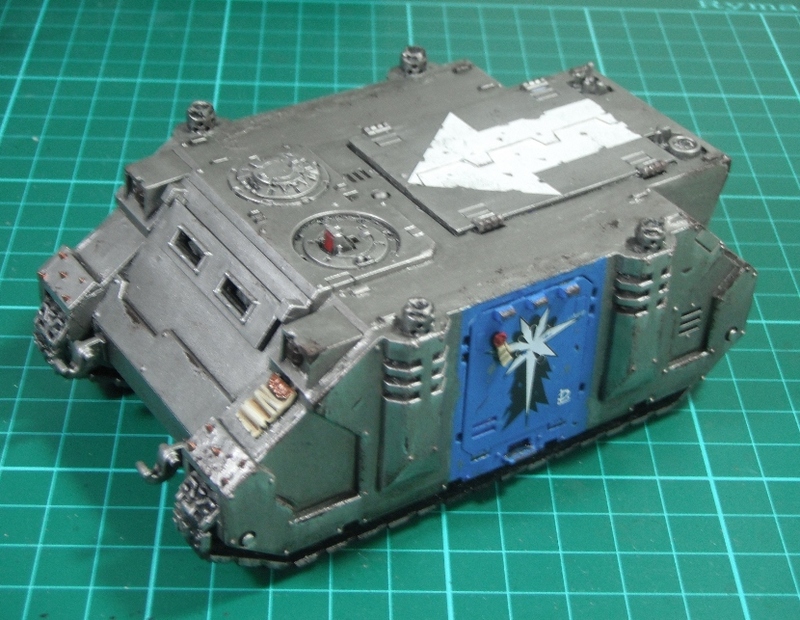 The tank looks a little rough in places as this is its third paint job. It started life as a Predator for my Death Guard before being converted into a Rhino for my Dark Angels and then stripped and repainted to join my Astral Claws. Also, a botched attempt to fill in the ubiquitous gaps along the edges of the tank adds to the roughness of the overall finish.I’ve tried to use battle damage and weathering to conceal some of the imperfections but I’m not too bothered about this as it is not a display piece and will only ever be used for gaming (if that). A close-up of the symbol of the hatch. 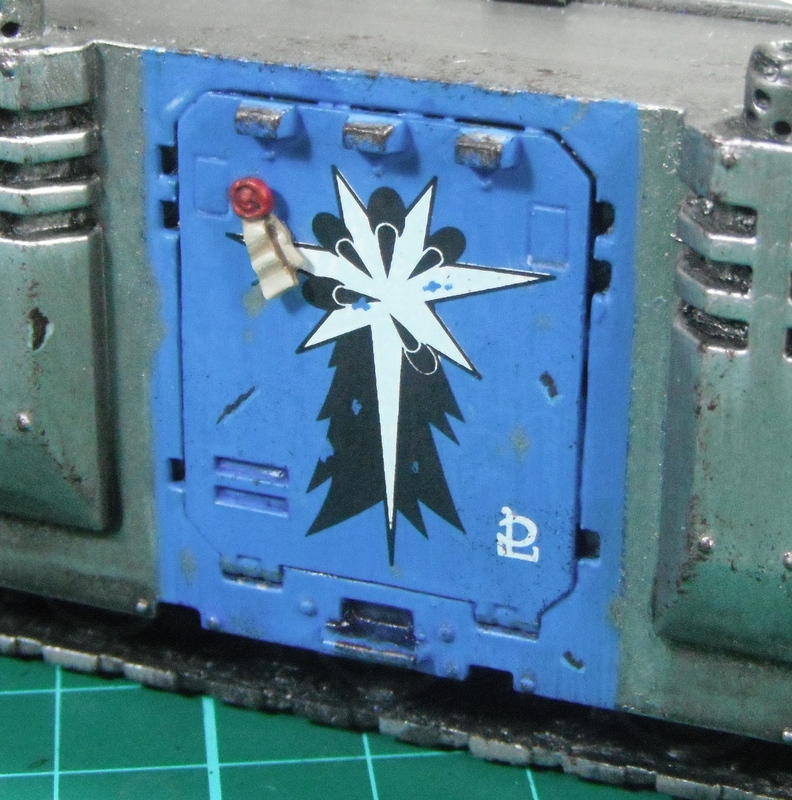 This is a decal from Forge World. Applying decals of this size was a first for me and it took a bit of practice to get it right as they are much harder to move around without creasing or tearing them. Hopefully I will be able to get the rhino finished soon along with the final marine to finish off my first squad. Over the Bank Holiday I have managed to get a lot of work done on my Astral Claws. 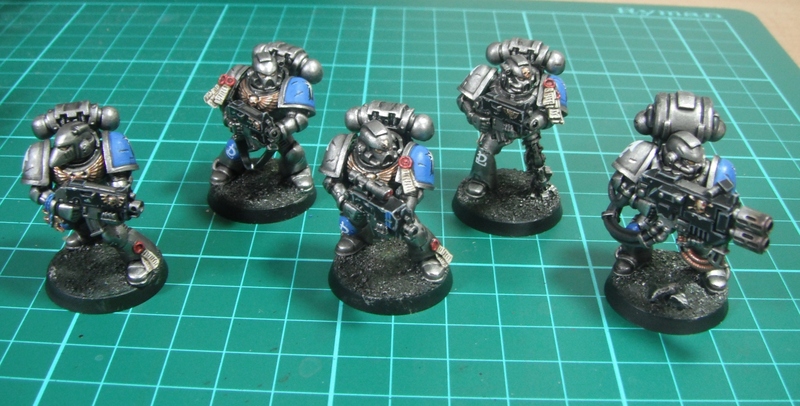 I’ve very nearly finished my first Tactical Squad. 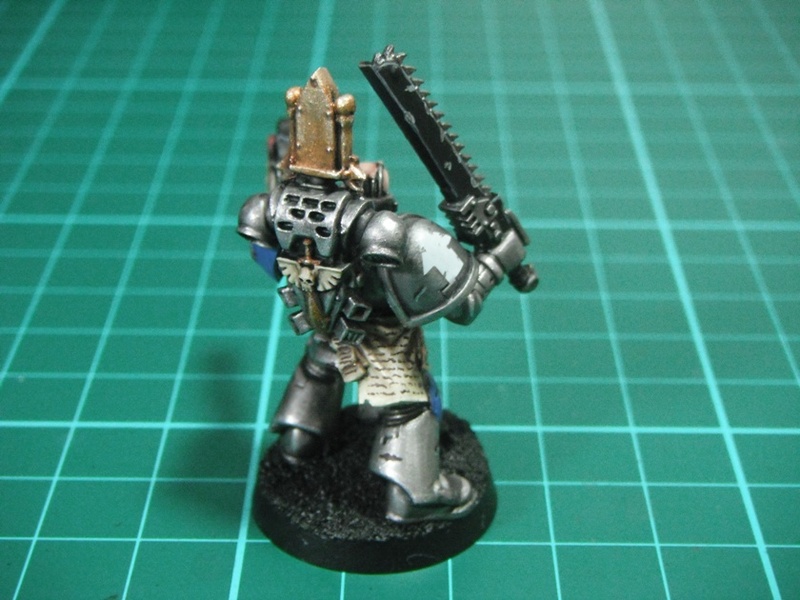 2) Wash with Asurmen Blue and shad around the edge of the shoulder pad with Badab Black. 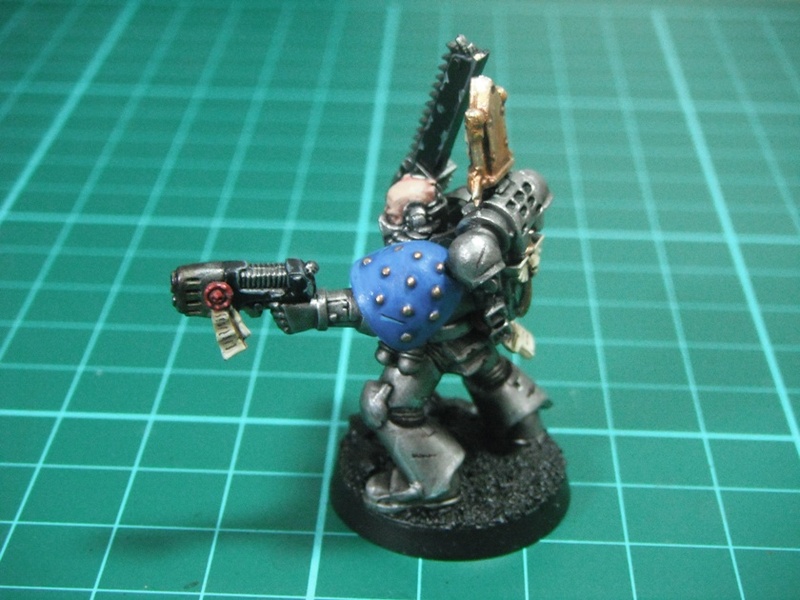 3) Highlight Lightning Bolt Blue. Once the decal is applied (using Micro Sol and Micro Set) I give the shoulder pads several thin coats of Lahmian Medium to blend the decal in. This also gives the blue a more muted appearance. 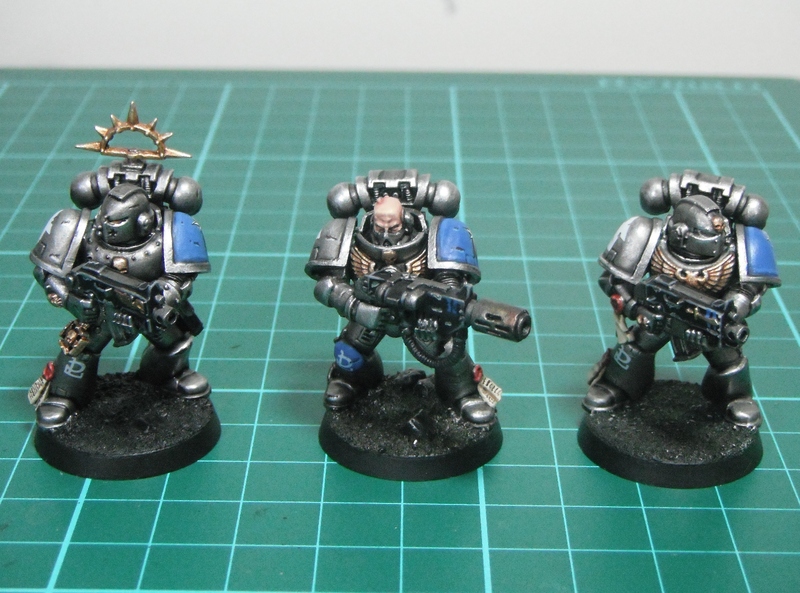 Just a quick update to show where I’m up to with my Astral Claws. Hopefully I will get plenty of time to work on them over the bank holiday.